The passing of Lee Kuan Yew on Monday saddens former Prime Minister Tun Dr Mahathir Mohamad. No matter how friendly or unfriendly we are, the passing away of a man you know well saddens you. I cannot say I was a close friend of Kuan Yew. But still I feel sad at his demise. He said Lee became well known at a young age and that he was a student when he read about Lee’s defence of labour unions. “I first met Kuan Yew when I was a member of Parliament in 1964 after Singapore joined Malaysia in 1963. We crossed swords many times during the debates. But there was no enmity, only differences in our views of what was good for the newborn nation. He included me among the ultra Malays who was responsible for the racial riots in Singapore. “Actually I never went to Singapore to stir up trouble. Somebody else whom I would not name did,” Dr Mahathir wrote. Dr Mahathir said Tunku Abdul Rahman attended the inaugural meeting of the People’s Action Party and was quite friendly with Lee. “He believed Kuan Yew was a bastion against Communism. But when the PAP contested in the Malaysian elections in 1964 with Malaysian Malaysia as its slogan, Tunku Abdul Rahman felt that the PAP’s presence in Malaysia was going to be disruptive for the country. 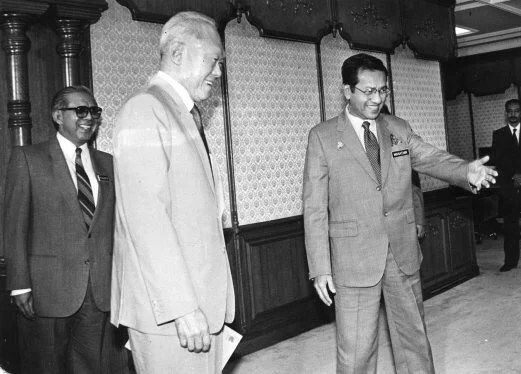 “When I became PM in 1981, I paid a courtesy call on Kuan Yew. It was a friendly call and he immediately agreed to my proposal that the Malaysia and Singapore times which had always been the same should be advanced by half an hour. I explained that it would be easier adjusting our time when traveling as we would fall within the time zones fixed for the whole world at one hour intervals. “I am afraid on most other issues we could not agree,” Dr Mahathir said. Dr Mahathir said when he had a heart attack in 1989 and required open heart surgery, Lee had cared enough to call Tun Dr Siti Hasmah Mohd Ali to delay the operation as he (Lee) had arranged for the best heart surgeon, a Singaporean living in Australia, to do the surgery. “But by then, I had been given pre-med and was asleep prior to the operation the next day. “My wife thanked him but apologised. She promised to ring him up after the operation. She did the next evening,” Dr Mahathir said. 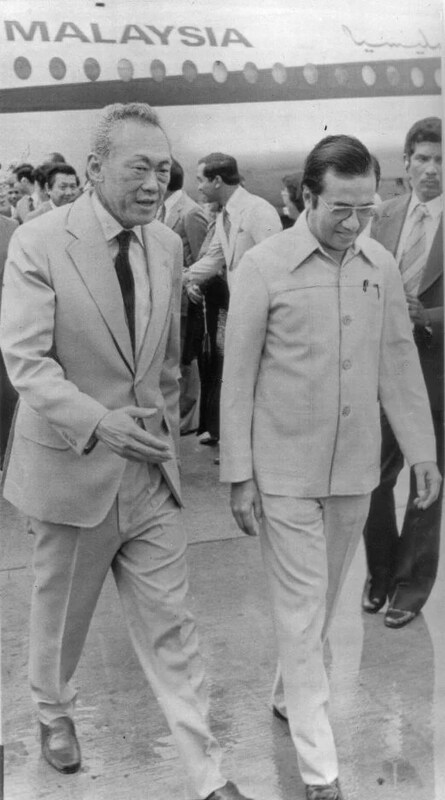 Dr Mahathir said he had requested to see Lee when the latter was ill. “He (Kuan Yew) agreed but the night before the visit, the Singapore High Commissioner received a message that he was very sick and could not see me. Dr Mahathir wrote that Lee’s passage marks the end of the period when those who fought for independence lead their countries and knew the value of independence.